The number of online advertising networks, companies that aggregate and sell advertising inventory on behalf of a group of publishers, has continued to grow in recent years. But is there room in the market for all of them? Experts in the space say maybe. “Last I heard, there were 300 ad net­works. That sounds like an insane num­ber,” said Bill Wise, the general manager, marketing technology solutions for Yahoo. There’s still room in the market for a lot of ad networks to be valuable and successful, he notes, but 300 may be too many. The online space may not have room for new ad networks that simply aggregate audience on a horizontal basis, Wise said. Those taking a vertical approach are more likely to succeed. “Where they’re con­centrating on a particular audience and they’re becoming experts in that audience, I think that’s a great strategy,” he said. Last year saw much acquisition activ­ity in the space, with Microsoft buying aQuantive, Yahoo adding Blue Lithium, and WPP buying 24/7 Real Media. While acquisitions have slowed, fund­ing certainly hasn’t, he added. For exam­ple, Brand.net recently announced it had gained $10 million in Series B funding, while rival ad network Turn, Inc. received $15 million in Series C funding. Many people have been “jumping in” to the business, admitted Ken Sonenclar, managing director at media investment bank DeSilva + Phillips. “Seemingly, if you get the right ad network together and aggregate the right audience, you can make money,” he said. Barriers to entry are also relatively low, as they are in many of the aspects of digi­tal publishing, Sonenclar said. Sonenclar sees remnant networks suf­fering, since these networks don’t give visibility to advertisers about where their ads are going. “There’s definitely been a push towards transparency,” he said. Networks that survive will be able to get the right eyeballs on trusted content, said Andy Ellenthal, CEO of quadrantONE. Cree Lawson, founder and CEO of Travel Ad Network, agreed. “It’s finally starting to resonate with the market that you plan media differently when you’re marketing baby food than where you’re trying to sell cars or vacations,” he said. Lawson anticipates that the ad networks that win in the space will be the ones providing value beyond lower cost per thousand page impressions (CPMs) and optimization. “I think the future of net­works is specialization,” he said. In this economic market — as ad spend slows — ad networks will need to be unique and offer differentiation, Wise says. After YouTube: The beginning of the end? Now that Google has snatched up the leading online video site, will rivals shell out big bucks, or will the competition dry up for smaller sites? NEW YORK (CNNMoney.com) — Has the online video shakeout only begun or is the bubble about to burst? Google’s $1.65 billion agreement to acquire YouTube Monday is the latest, splashiest and most expensive of deals involving companies in the nascent online video business. Industry experts say that Google’s rivals, both traditional media companies and Internet firms like Yahoo!, need to reevaluate their online video strategies now that the search engine kingpin and online video leader have joined forces. “I think certainly there is going to be a lot of activity. I don’t think anybody wants to cede the market to Google and there are a lot of media companies that are poised to do something,” said Greg Kostello, founder and CEO of vMix, a privately held video site. But some caution that media companies also have to be careful of overpaying. “You do need to react to this deal if you are a competitor but it’s just a matter of how. Google is inflating the value of the market overall because they can afford to do so,” said Bill Wise, chief executive officer of Did-it Search Marketing, a paid search advertising firm based in New York. The $1.65 billion price tag for YouTube may in fact mark the beginning of the end for this latest dot-com craze. Instead of forcing other media firms to make acquisitions, it could scare them off. “YouTube is a 67-person company in an unproven market that hasn’t made any money. So it’s seemingly ridiculous amount of money to spend,” Wise said. To that end, other privately held online video search firms with a notable amount of traffic, companies like Metacafe, Heavy.com, Guba and Break.com, could find themselves being able to command much higher prices in a sale than they would have before Google bought YouTube. 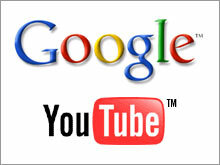 David Carson, the co-CEO of Heavy.com, agreed that the price Google (Charts) was willing to pay for YouTube caught many by surprise. “The deal is pretty significant in many ways. It certainly made everyone stop and pay attention. Nobody was expecting the valuation to be as high as what it was,” he said. Carson said that Heavy.com, which has been the subject of takeover rumors with companies such as Viacom (Charts), News Corp. (Charts) and Yahoo (Charts) often mentioned as suitors, is not looking to sell but that he would entertain the thought of a sale if a good exit strategy presented itself. So will any of Google’s competitors be willing to spend to keep pace with Google? Scott Kessler, an equity analyst with Standard & Poor’s, says that Yahoo, which warned of softness in the online ad market last month and has also been hit by delays to its important new search advertising platform, may have no choice but to make a move. Yahoo has been rumored to be in talks to buy social networking site Facebook and could be forced to make a move sooner rather than later. A spokesperson for Yahoo was not immediately available for comment. “This increases the pressure on Yahoo to do something. There is this perception that Google is not just executing well but that it is also being more aggressive,” Kessler said. Other companies may not have to make such drastic moves though. Microsoft (Charts), which was said to be interested in YouTube, announced last month that it was starting a YouTube rival called Soapbox. And late yesterday, the company said in a statement that it has no plans to make an online video acquisition to counter Google’s move. “We evaluated acquiring this type of technology several months ago. We decided to build our own offering, focused on driving better customer and advertiser experiences through integration with Microsoft assets and services that reach an estimated global audience of 465 million consumers,” a Microsoft spokesman said. “We are excited about the potential we are seeing in the beta of Soapbox on MSN and believe building our own solution is a more cost-effective way to compete in this new space,” the spokesman added. However, Wise said that if Soapbox flops, Microsoft could be the one company that can go out and match Google with a big deal of its own. “The only company that can potentially keep up with the rising prices that Google has set is Microsoft. It will be interesting to see what Microsoft does in response to this,” he said. Analysts said that News Corp., which owns the popular MySpace social networking site, has quickly built its MySpace Videos site to the number two spot behind YouTube. So it probably doesn’t need to make a deal and should just concentrate on promoting MySpace more aggressively. “News Corp. already has a burgeoning online video business with MySpace,” said Kessler. A spokeswoman for Fox Interactive Media, the News Corp unit that includes MySpace, had no comment about the Google-YouTube deal. Other media firms have also been increasing their presence in the online video market and could step up their investments even further since they have only spent a relatively small amount so far. Sony bought online video sharing site Grouper in August for just $65 million. Viacom bought iFilm last year and Atom Entertainment in August for a combined $250 million. And AOL, which like CNNMoney.com is a unit of Time Warner (Charts), has bought a slew of online video assets lately, most recently video search firm Truveo and online video advertising company Lightningcast. Terms of those deals were not disclosed but sources estimated that AOL paid about $50 million for Truveo. “There will be acquisitions from the big boys. Video needs to be a component of any serious Internet player,” said Eric Chin, a partner with Bay Partners, a venture capital firm based in Cupertino, Calif.
And Heavy.com’s Carson said that larger media companies may wind up looking to scoop up some of the remaining online video sharing sites because they feel that it is easier to purchase an existing business than invest in building up their own. “I think some media conglomerates will make smaller acquisitions and you might see some that make some surprising moves based on the YouTube deal. Some companies are starting to realize that maybe they have to buy,” he said. To be sure, YouTube, which has more than 100 million videos downloaded a day and commands nearly half the share of the online video market, was the most sought after of all the privately held video sites. It is the proverbial flavor of the month. But Yankee Group’s Goodman pointed out that News Corp. paid only $590 million for MySpace last year. “Is this an Internet boom or bust? When you see a nearly three times increase in what Google paid for YouTube than what News Corp paid for MySpace for a company with even less of a business model than MySpace, you have to ask those questions. This could be the precursor of the Internet bust part 2,” he said.